With over 3 million YouTube subscribers combined, these young internet stars are in it for the long run! Ranz and Niana Guerrero are Pinoy YouTuber siblings who’ve gained internet fame over the past few years because of their kulit bro-sis antics. 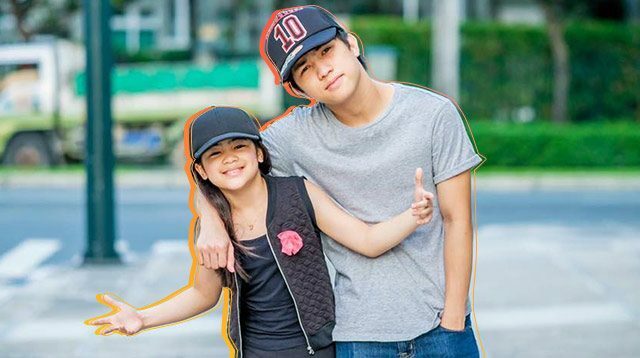 This past month, Ranz, 20, and Niana, 11, gained international attention after their “Despacito” videos (featuring the hit by JBiebs and Luis Fonsi) went viral. Yep, you've seen those FOR SURE. How and when did you start producing videos? Ranz: I've been uploading videos on YouTube since 2011. Once in a while, I'd ask Niana to join (as saling pusa LOL!) in some of the skits, challenges, and pranks I made. It was all for fun. The time we spent making the videos really brought us closer, especially since we are around 10 years apart. In 2015, Niana and I created a 10-second Dubsmash dance choreo. We shared it on our social media accounts, and we have been a tandem ever since! What's it like doing brother-sister collabs? Do you experience conflicts about content ideas? Ranz + Niana: We find it really fun and productive. Like I said, it gave us an opportunity to get to spend time together despite our age gap. And no, we haven't had conflicts about content ideas. Who inspires you to make videos? Ranz + Niana: Aside from our mom, dad, family, and friends, it's the people who follow us that inspire us most. Among the videos you've done so far, what's your favorite? Ranz: My favorite video we've done so far is the Hit That Despacito Dance because it never fails to make me laugh every time I watch it. Niana: My favorite is the 1 Million French Fries video. We made that when I reached 1 million subscribers on YouTube. I've never seen so many Mcdonald's french fries in my life! Do you look up to any YouTubers/influencers? If so, who? Ranz: Jake Paul, Logan Paul, Ayo & Teo, and JC Caylen. Niana: Jake Paul, Chachi Gonzales, Alex Wassabi, and LaurDIY. When was the moment you realized you were internet-famous? Ranz + Niana: When strangers started saying "hi" to us in public. What is your biggest career milestone so far? Ranz + Niana: I guess reaching 3 million subscribers combined on YouTube. Do you plan on producing content for YouTube in the long run? And what are your future plans for your channel? Ranz + Niana: Yes, so many things are coming up [for us on Youtube.] We plan to do more vlogs soon! And we'll definitely continue to create funny and inspiring video content. We're excited with what’s to come! How did you initially feel about your kids having viral videos? Daddy Niño: I was shocked with all the attention at first. But every time I would watch the videos myself, I would end up laughing and would feel inspired myself. I slowly understood why their videos were "viral," and I'm grateful that they can share this platform to inspire or just make people laugh. Do you regulate or have a say in the content they make? If so, what rules have you set for your kids' videos? Daddy Niño: They usually come up with the ideas themselves. But I tell them to always keep in mind that a lot of young ones are following them, and that's why they have a big responsibility with the content they make. So, it's not really about giving them rules, but more of "reminders" that they can influence for the good. What's your personal favorite video of your kids? Daddy Niño: Dare To Dream.